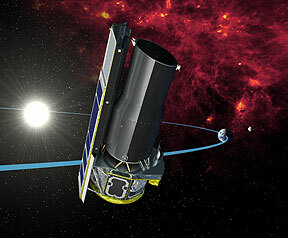 The Spitzer Survey of Stellar Structure in Galaxies (S4G) is a Spitzer Space Telescope Warm Mission project that was approved in Spring 2009. The project is led by Dr. Kartik Sheth, formerly of the Spitzer Science Center. I am a member of the science team. The project involves obtaining near-infrared images of 2,331 galaxies within a distance of 40 Megaparsecs as a means of studying the stellar structure in galaxies to the lowest surface brightnesses possible. (For a comparison between a typical ground-based near-IR image and a typical Spitzer image, click here). The images are being obtained in 3.6 and 4.5 micron filters that sample mainly the stellar mass components of disk-shaped galaxies. The images are mostly transparent to interstellar dust, but are sensitive to the warm dust associated with star-forming regions (see images below). At right is the link to the main S4G project homepage, as well as links to the first published S4G papers and a large mid-IR galaxy atlas based on this paper. 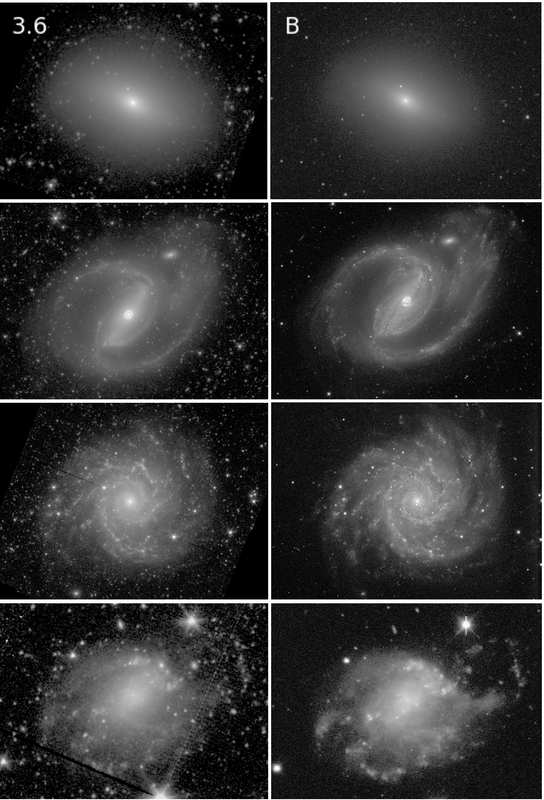 Comparison between S4G images and groundbased blue light (B-band) images of four galaxies. Top to bottom: NGC 584, NGC 1097, NGC 628, and NGC 428.